Ocimum Sanctum Leaves for Pancreatic Cancer Treatment? 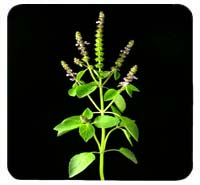 In a study involving alternative therapy, researchers including SK Batra and colleagues from the Department of Biochemistry and Molecular Biology at the University of Nebraska Medical Center studied the effects on pancreatic cancer cells (ductal adenocarcinoma of the pancreas) of ocimum sanctum, a traditional medicine from India known more commonly as “Holy Basil,” that has been in use for thousands of years. They found that extract from the leaves of ocimum sanctum appeared to inhibit mechanisms that control the spread and invasion of pancreatic cancer cells. And also, in a separate in-vitro experiment with mice, that the extract appeared to potentiate death of pancreatic cancer cells in tumors. This is a pre-clinical study, but it is of interest in the sense that Holy Basil – known to have medicinal properties for thousands of years – could become a source for new compounds in the therapy of pancreatic cancer. Further research required. 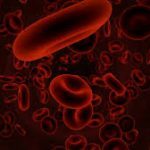 This article was posted in Pancreatic Cancer, Pancreatic Cancer Medical Treatment and tagged Ocimum Sanctum Leaves, Pancreatic Cancer, Pancreatic Cancer Medical Treatment | Bookmark the permalink | Both comments and trackbacks are closed.